The MyFreedomSmokes Atomizer Sale is back again! 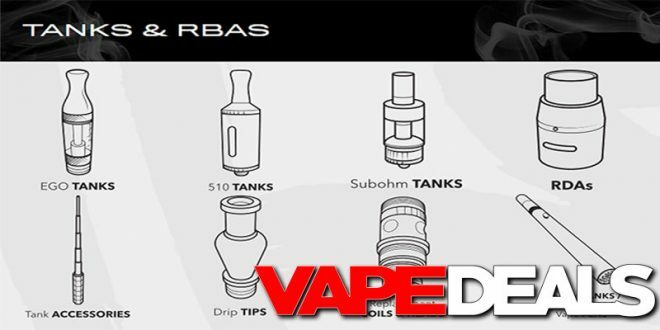 For the next few days, you can get 15% off everything in the eGo Tanks, 510 Tanks, Subohm Tanks, and RDAs categories. Just be sure to apply coupon code “15SPOOKY” at checkout to get the reduced prices. They have dozens of options available, so stop by and see if there’s anything that interests you. I have a feeling there are some nice deals up for grabs here. Just keep in mind that this sale officially ends Monday (11/5) at midnight EST. And don’t forget to check out their Deal of the Week while you’re there too (link below).